With Ardrossan back to his brilliant best, the quest is on in earnest for a Group One victory to stamp his stallion credentials. The well-bred four-year-old put his past health issues behind him with a commanding performance at Ellerslie today to win the Gr.3 Concorde Handicap. Ardrossan remains unbeaten in New Zealand after two wins, one at stakes level, here as a juvenile before he crossed the Tasman. The colt was beset with issues during his stint with Caulfield trainer Mick Price and returned home after three under-par efforts. 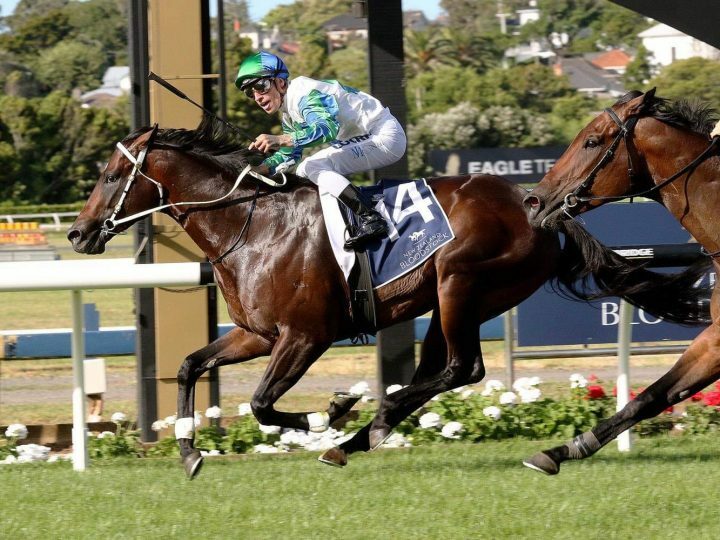 “He’s so well bred and he had mishaps in Australia and had some heart problems,” part-owner Mark Chittick, of Waikato Stud said. “Chris Phillips iour vet has done a wonderful job. He’s an outstanding young man and left no stone unturned and went world-wide to get the right treatment. “He’s a horse with a massive amount of ability and he came here against a great field. Ardrossan came home and won first-up at Te Aroha prior to handling a major rise in class at Ellerslie with aplomb. The son of Redoute’s Choice jumped well from an awkward alley to race on the leader’s quarters and when Michael McNab asked him to get serious into the straight he responded. He lengthened stride effortlessly to win with authority and keep his unbeaten New Zealand record intact. “He’s a really sharp colt and a stunning animal,” he said. Marsh has yet to lock in the next start for Ardrossan, but the Gr.1 BCD Sprint at Te Rapa is an option. “He could go there, we’ll see but he’s a really high-class horse,” Marsh said. “I’m rapt to get him back from Australia and appreciate the chance to have another go with him.